Here’s a look at a few more stats/numbers you might not know about tonight’s Final Four title game. 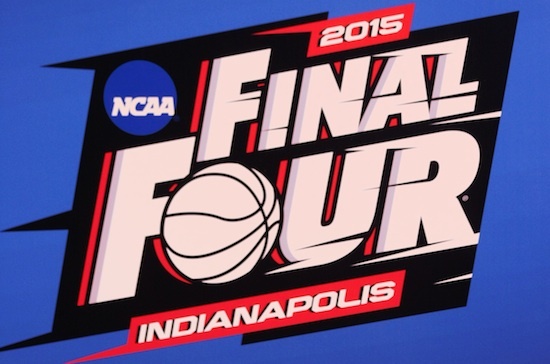 … A Wisconsin victory will give Duke seven Final Four championship game losses, a record. The Blue Devils are currently tied with Kansas with six title game losses. Other teams with multiple Final Four championship game losses: 5-Michigan; 4-Kentucky, North Carolina, Ohio State; 3-Georgetown; 2-Bradley, Butler, Dartmouth, Houston, Memphis, Oklahoma, Syracuse, UCLA. … Seven title games have gone into overtime. The last was in 2008 when Kansas defeated Memphis. … The Big Ten Conference has lost five straight Final Four championship games. … Sixteen title games have been decided by three points or less. The last was in 2010 when Duke beat Butler 61-59. Three teams have lost multiple title games by three points or less, led by Kansas which has lost three such games. Duke and Georgetown both lost two championship games by three points or less. … Teams that score 60 points in the championship game are 62-48 (.564 winning percentage). Teams that score 70 or more points in the game are 49-28 (.636 winning percentage). Teams that score 80 or more points in the championship game are 26-4 (.867 winning percentage). … The ACC and the Big Ten have faced each other six times in the final game (tonight is the seventh time). The ACC has won five and only lost once. The only Big Ten Conference win over an ACC school in the final was in 1981 when Indiana beat North Carolina. The ACC has won the last five championship games over a Big Ten opponent. … Wisconsin could become the first Big Ten school since Michigan State in 2000 to win the title and also win the title the same year they won a football bowl game. Michigan State won the Florida Citrus Bowl in 1999 and then won the NCAA men’s basketball title in 2000 (the 1999-2000 season). Louisville is the last school to win a football bowl game and men’s national basketball title in the same year (2011 football bowl game, 2012 basketball title).